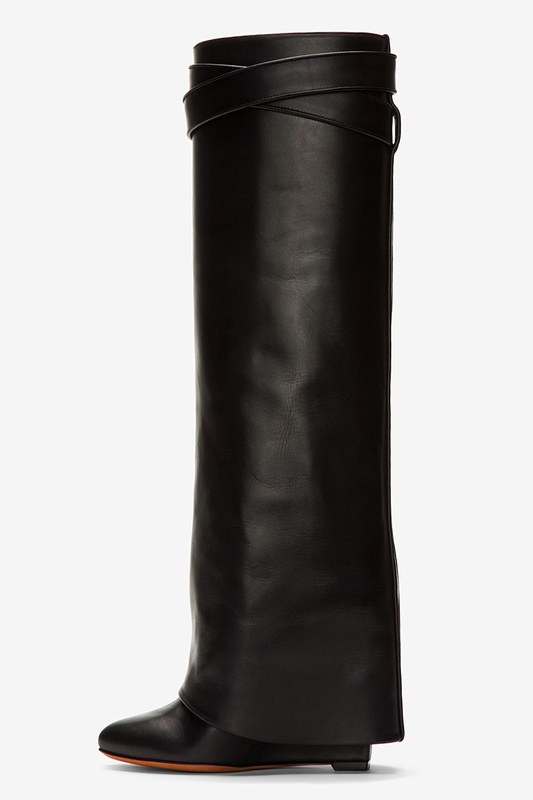 Lately I have been into boots and when it comes to over the knee shoes I am a sucker! 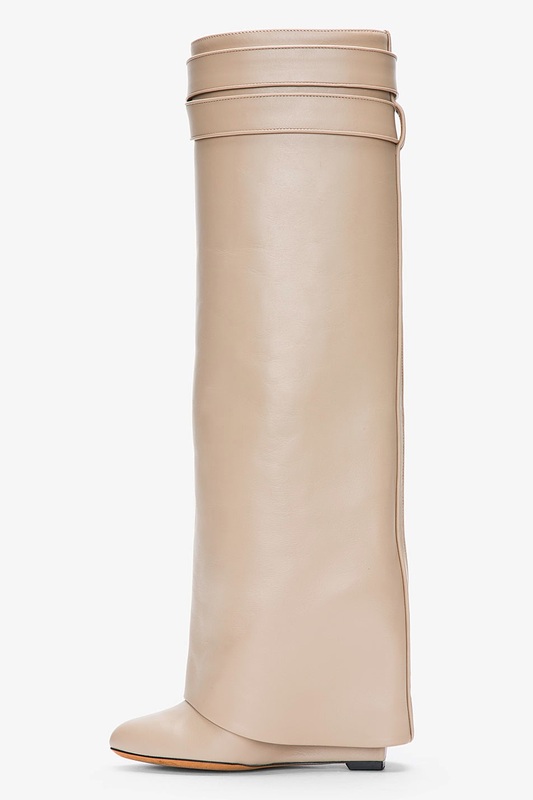 The "Shark Lock Wedge boots" by Givenchy. 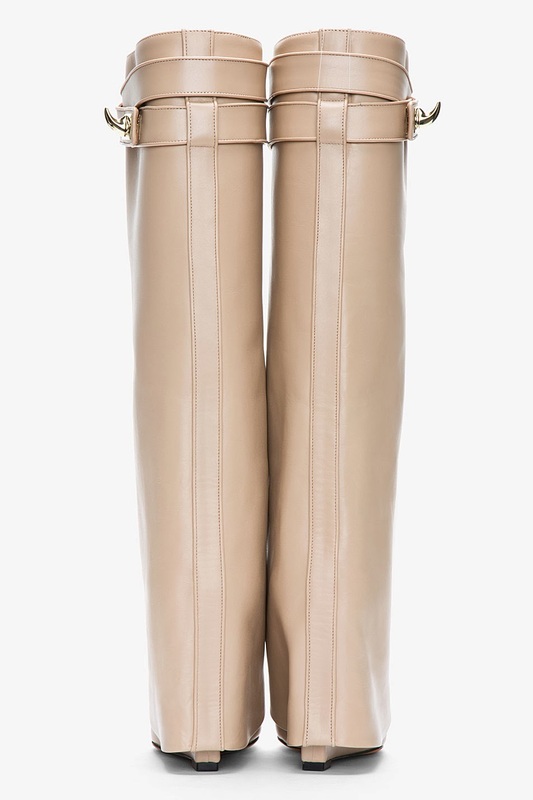 I melt every time I see these boots. 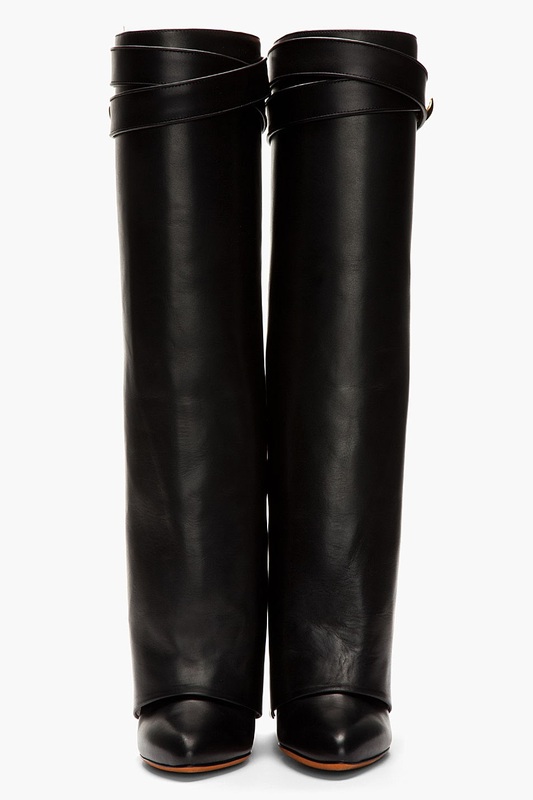 Nothing but lick-able leather perfection! 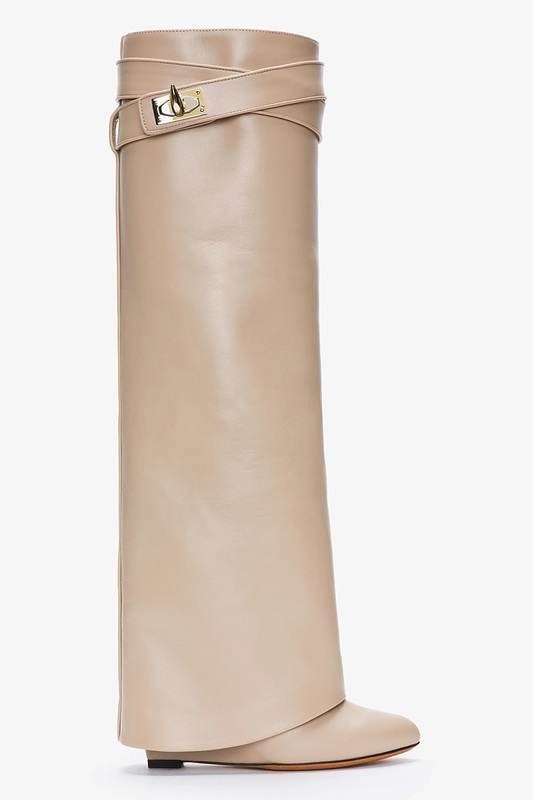 The tone on tone stitching overlapping boot shows why Italy is known for its beautiful creations. 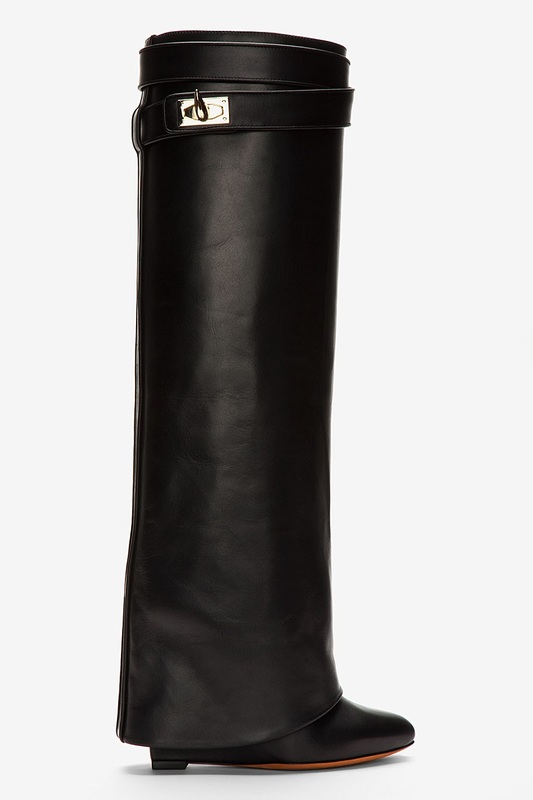 This boot comes from the Fall 2012 Ready-To-Wear collection. 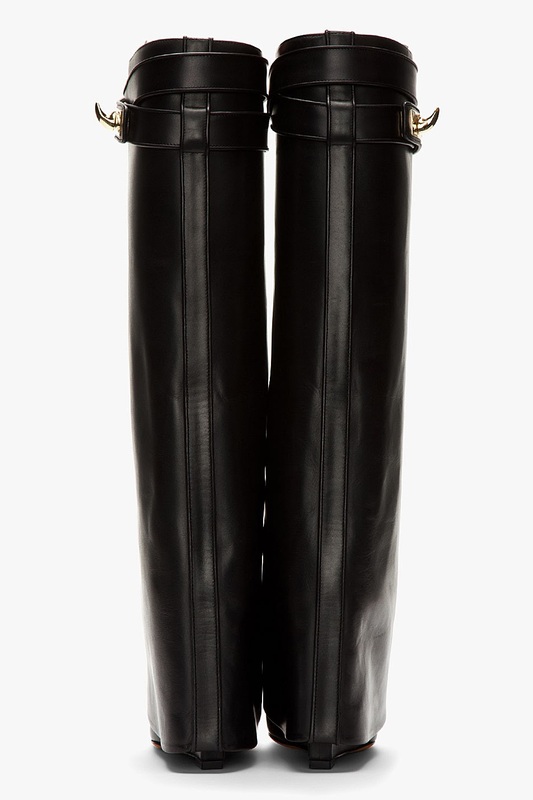 So my hunger for these boots will be for eternity. They are classic.